In November 2015 we will publish a summary of responses to the consultations, which will explain how the comments received during the consultation meeting(s), as well as in written form, have been taken into account in the preparation of the final draft RBMP. Get involved! 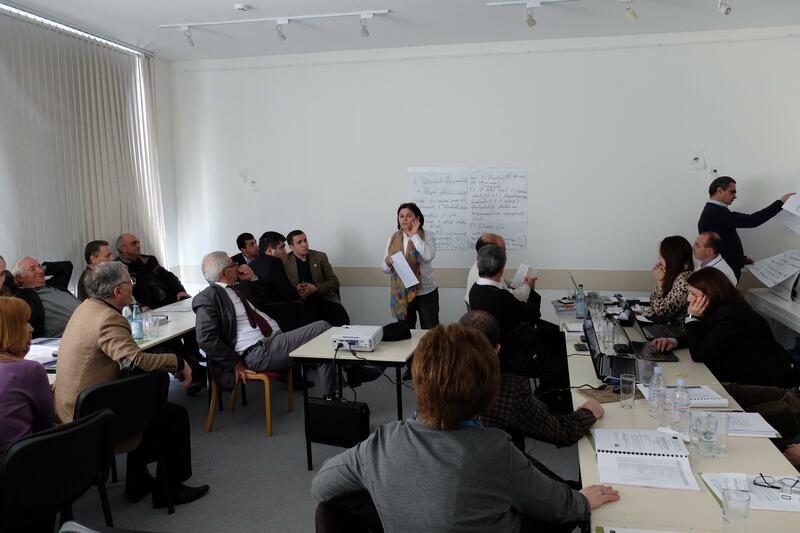 Shaping the future of the Akhuryan River Basin District! 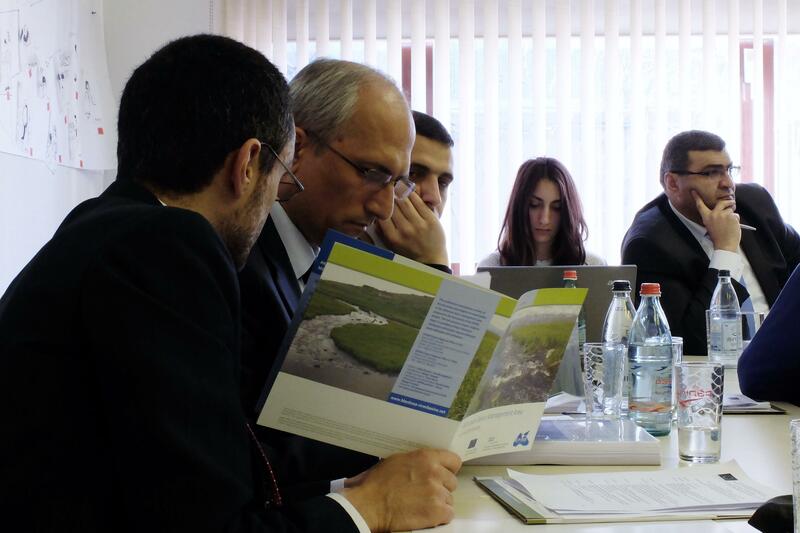 The Akhuryan River Basin District – Public Consultation Meeting on draft River Basin Management Plan, took place in Gyumri, Armenia on 26th of March 2015. We would like to thank to all those who participated at the meeting and contributed with their views. 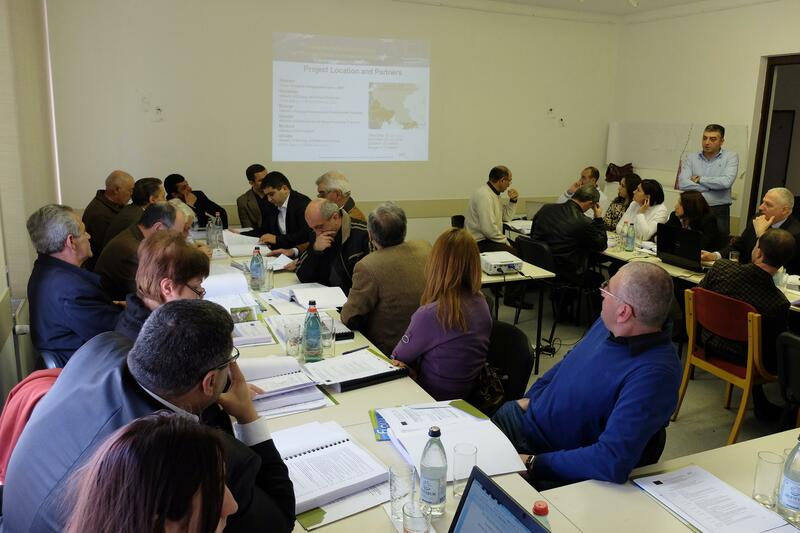 The event aimed to present the draft River Basin Management Plan and the planned Programme of Measures for the Akhuryan pilot basin and to discuss and receive feedback, comments and proposals on the draft RBMP. The presentations made during the meeting along with the Minutes and the accompanying documents will be accessible soon on our Downloads page. The meeting was the first step in the consultation process and we are interested in receiving your further comments. 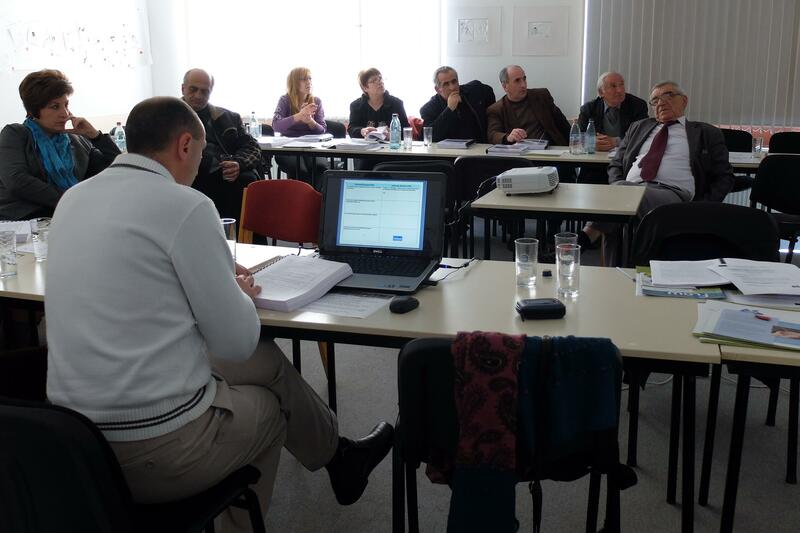 All stakeholders and members of the public are invited to submit comments on the draft RBMP until 31st of May 2015. Early responses would be appreciated to allow more time to clarify and resolve issues that may arise. All comments collected during the consultation meeting or electronically, will be considered and due account will be taken of them during the preparation of the final RBMP after May 31, 2015. We are counting on you to have your say in making plans for the future! 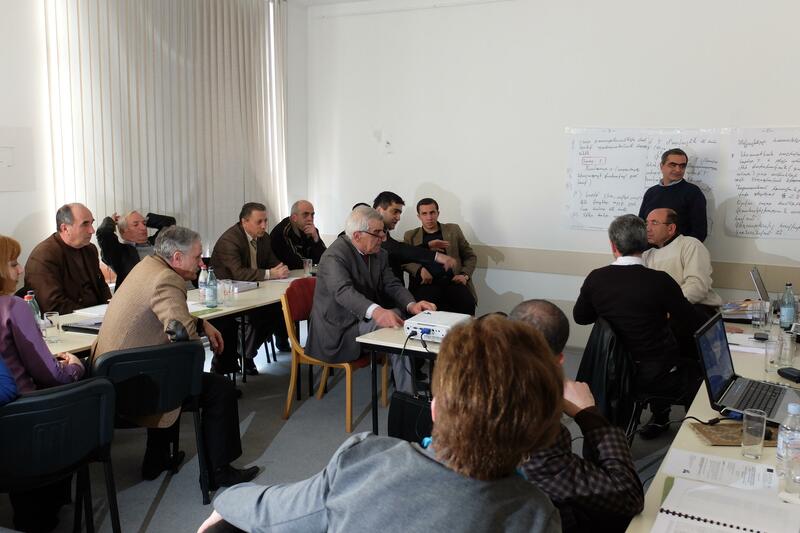 Stakeholder consultation meeting was held on significant water management issues on 20 June, 2014, in Gyumri, Armenia, within the framework of the National Coordination Committee meeting. The minutes, agenda, list of participants of the meeting along with the presentations can be accessed on our Downloads page in English, Russian and/or local languages. 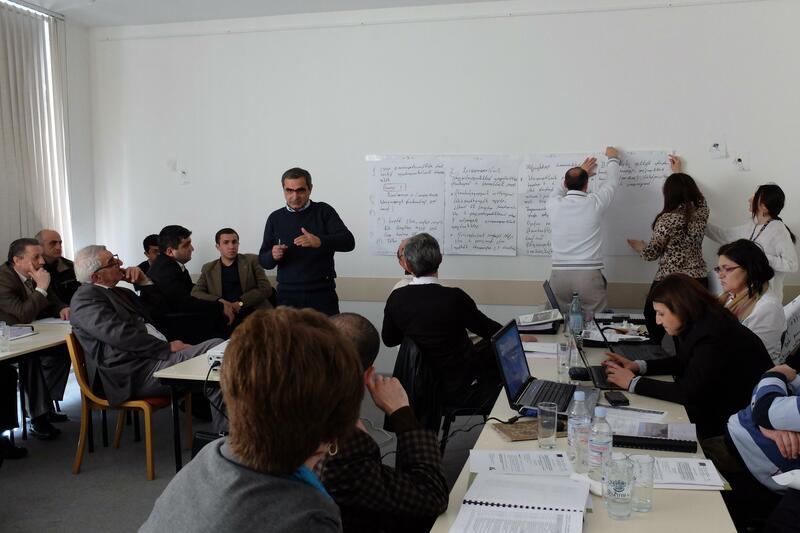 Shaping the future of the Akhuryan River Basin District! 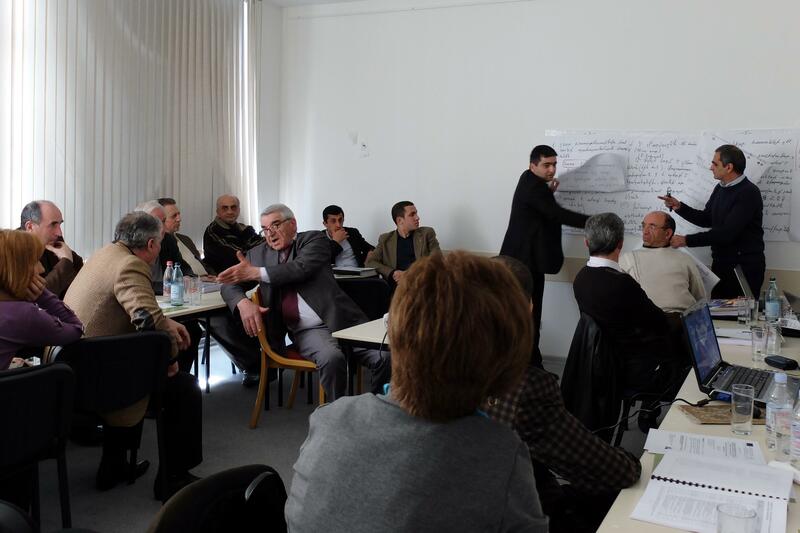 The public consultation meeting on the Draft Akhuryan River Basin Management Plan (RBMP) will be held in Gyumri, Armenia, on March 26, 2015. 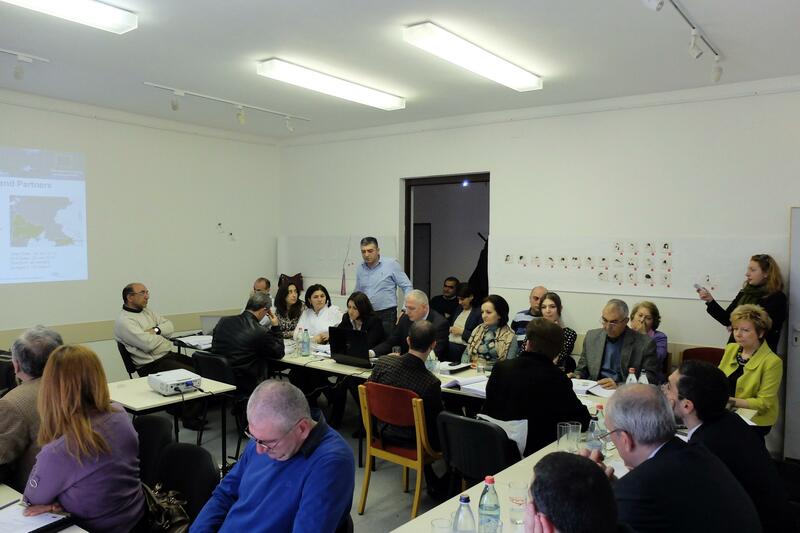 The meeting will give the opportunity to learn more about the draft RBMP for the Akhuryan Pilot basin, including the planned Programme of Measures, to take part in the discussions and to provide your comments and proposals on the draft plan. All stakeholders and members of the public are welcome and encouraged to provide their feedback and proposals. The proposed agenda and the draft RBMP will be accessible on the website in early March and circulated to interested participants. A dedicated e-mail address will be also announced soon for collecting the comments. We invite members of the public and all interested stakeholders to join and participate in the consultation meeting. Due to limitation of space in the meeting room, those interested to attend are kindly asked to contact Mr. Vahagn Tonoyan at vahagn.tonoyan@blacksea-riverbasins.net / Tel. : +374 77 55-04-87 and indicate their wish to participate. “Pressures and Impact Analysis”, the draft report for the Akhuryan Basin management area, offers a preliminary overview of pressures that have significant impact on water bodies in the pilot basin. As ‘significant water management issues’ will command the most attention during the development and implementation of the River Basin Management Plan, we are interested in receiving your feedback, such as on whether the draft report identifies the most important issues, whether there are any other significant water management issues that have not been considered etc. You are invited to comment on this document. Please write to wmt@rec.org by July 11, 2014. By contributing to the consultation process you will be helping to improve the quality of waters in your home pilot basin. Your views count! Note: The EPIRB project team will use the information you provide to produce the Akhuryan River Basin Management Plan, and to compile a summary of responses. Comments will be published in the summary, but we will refrain from publishing your name if you wish to remain anonymous.